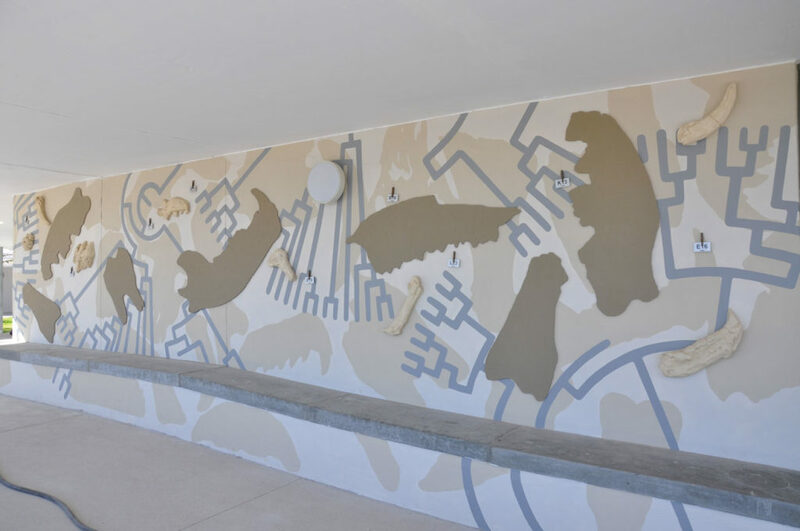 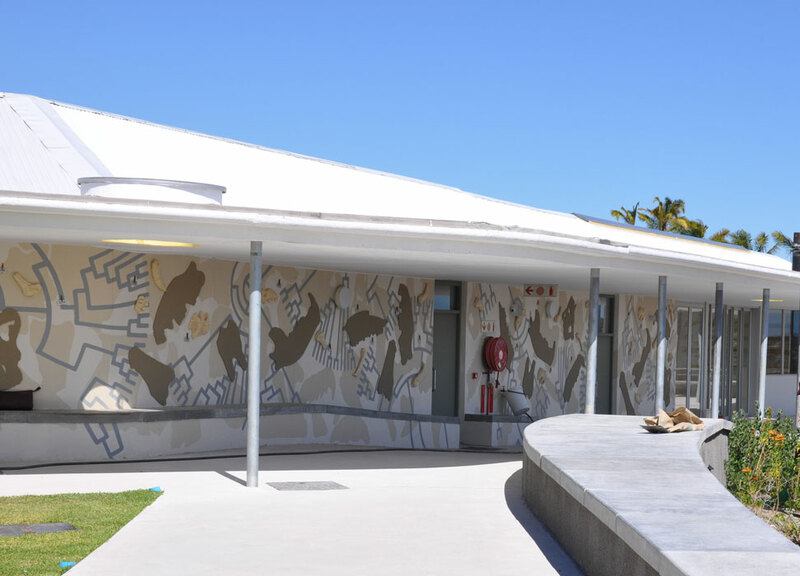 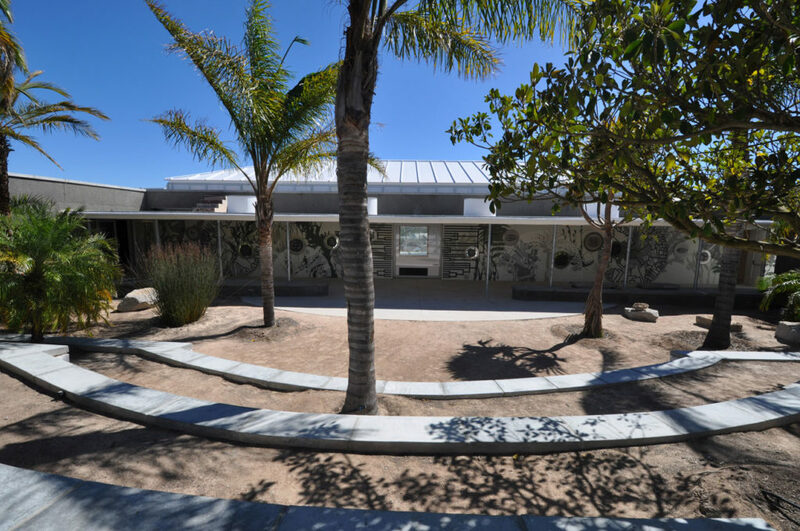 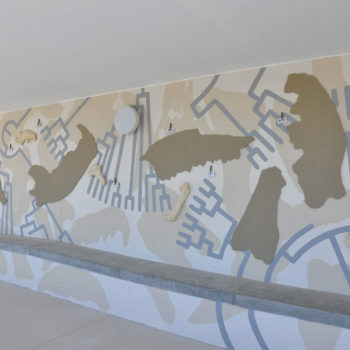 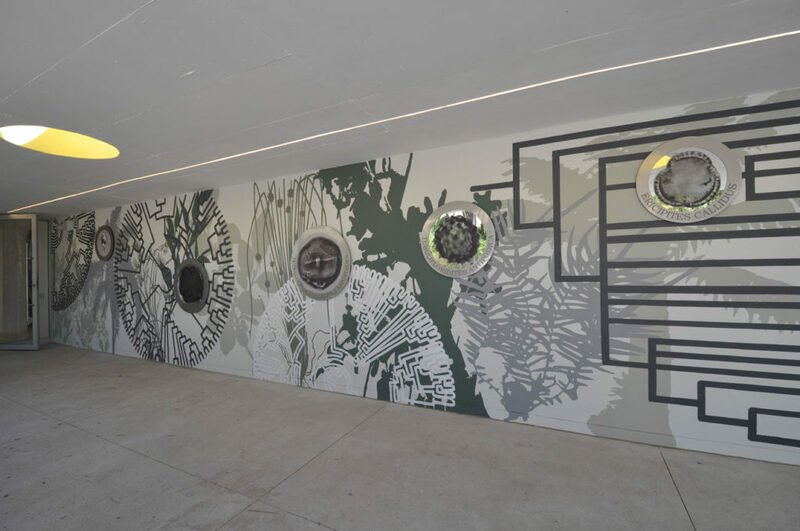 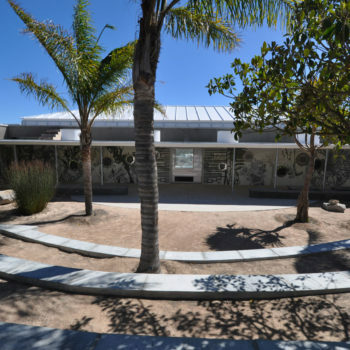 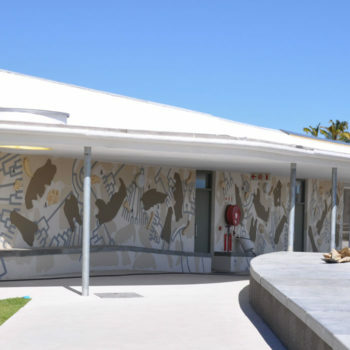 In this commission by the Trustees of the WCFP for the new interpretive centre, designed by Noero Architects, the intention was to generate a series of surfaces and images that introduce the visitor to the rest of the park. 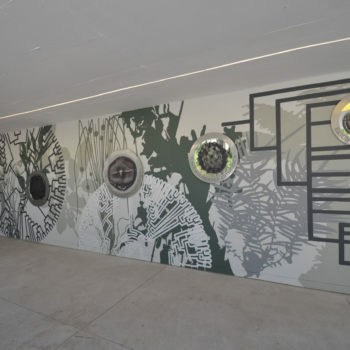 The three areas slowly guide the viewer from an environment that is suggestive and elusive towards a more certain space, where visual clues and prompts can be used to deduce information. 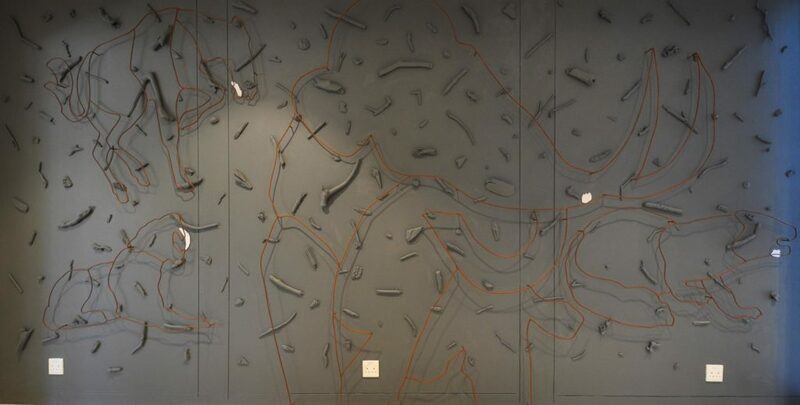 The route is linear and elements emphasize the horizontality of the landscape and verticality of strata and time. 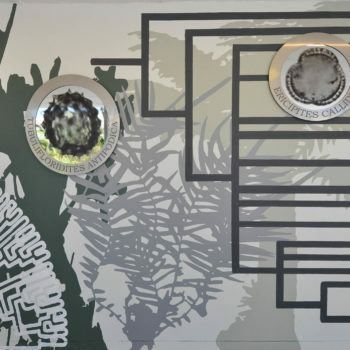 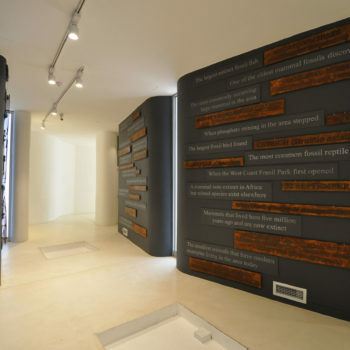 The first area references fossil fragments found in the area, pegs and labels used in the Langebaanweg dig-site, and fragments of the phylogenetic tree, a diagram used to plot the lines of evolutionary descent of different species, organisms, or genes from a common ancestor. 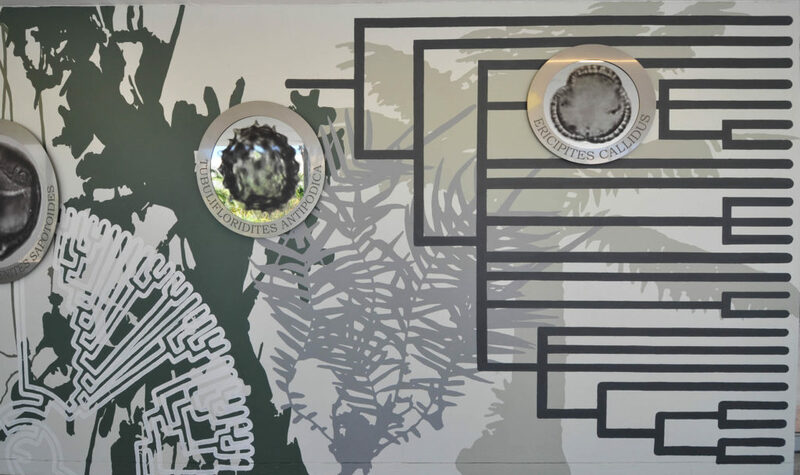 The second area references plants that may have been in the area 5MYA, fragments of the phylogenetic tree, and enlarged images of fossil pollens. 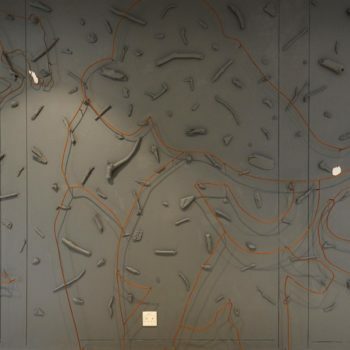 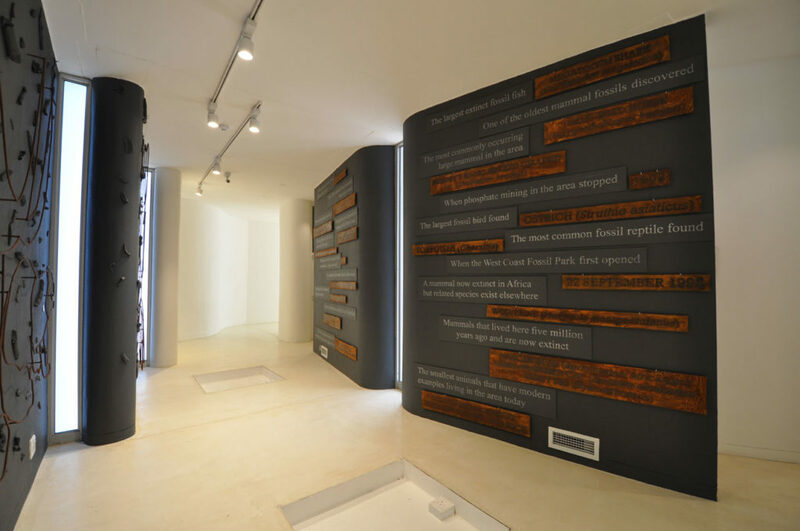 The third area references extinct animals from the area set opposite a wall of frequently asked questions, executed in steel and chalkboard.